I’m beginning to wonder if, caught up cliches about uncooperative cats, I’ve misjudged Chia Garfield. No, his growth isn’t as long as Scooby’s, but maybe Garfield is simply choosing a different way. Maybe he’s opting for the traditional Chia look while Scooby runs wild – there have been a lot of rumors about what really goes on in the Mystery Machine and why Shaggy always has the munchies. 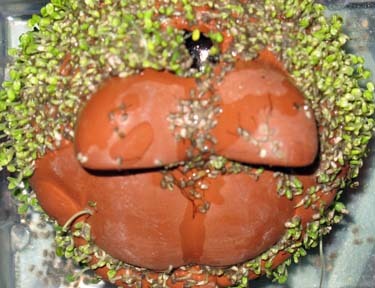 I think I need to learn to love my Chia children for their differences, not in spite of them. There’s a lesson in there for parenting human children as well.